What is Proper Dude Ranch Attire? To ensure you enjoy your dude ranch vacation to it's fullest, be sure to be comfortable at all times. Casual attire is widely acceptable and encouraged at most dude ranches. With the variety of dude ranch activities to participate in, light comfortable clothing and shoes/boots are preferred. Layering is usually recommended on a dude ranch vacation as sometimes temperatures are colder at higher altitudes even during the summer months. Also, be prepared to possibly make several clothing changes during a day as you go from one fun activity to another. For outdoor dude ranch activities, several pairs of jeans are recommended along with your favorite hat for keeping the sun off of your face while on a trail ride or hike. For trail riding, cowboy boots are ideal and at the very least you will require a smooth soled boot with a substantial heel. Some guests also like to wear a thin pair of leather gloves to protect your hands. For hiking, good comfortable and sturdy hiking boot are recommended. Also you may wish to bring your swimwear and exercise gear as many dude ranches have swimming and fitness facilities. What you bring on your dude ranch vacation will depend largely on the season of your vacation and the location of the dude ranch. During summer dude ranch vacations be prepared for dryness and heat. However, even in the summer months exploring higher altitudes will require multiple layers of clothing to ensure you are comfortable. Be sure to bring light shirts, shorts, jeans, jackets, scarves and hats for protection from the elements. Sunglasses and sunscreen are also must haves. 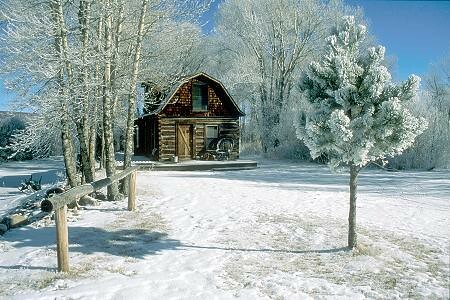 During winter dude ranch vacations more northern dude ranches will require heavier warmer clothing. As with the summer months, make sure you bring enough clothing to layer. Be sure to bring wool or fleece jackets, long pants, scarves, gloves, hats and socks. If you plan to be outdoors riding or on an excursion, bring a hat or something to cover and protect your ears. Lastly, don’t forget about preparing for rain if the forecast predicts it. A long rain jacket will protect you on outdoor horseback riding trips or other excursions. Be sure you have enough clothing because if you are cold, you will not enjoy your dude ranch experience. Many dude ranches supply you with shampoo, conditioner, soap and a hairdryer. Be sure to check with them beforehand in case you need to bring your own. If you are travelling in the warmer months be sure you bring along a good sunscreen and bug spray. Now get planning your dude ranch vacation. Search Ranchseeker's dude ranch database for free and get in touch with hundreds of dude ranches.